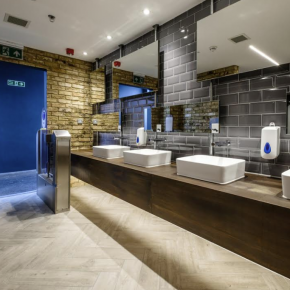 Working with refurbishment and maintenance contractor, PDC Construction Services, Washroom delivered a complete refurbishment of the public washrooms by replacing the existing facilities which no longer reflected the market’s contemporary style. Washroom and PDC’s collective experience gives the team a complete understanding of where customisation, adjustments and bespoke additions are needed, making the whole process smooth and simple. The entire project at Camden Market, from initial design to completion, took a mere just six weeks. Trevor Bowers, director at Washroom Washroom said: “We’re constantly looking for ways to meet the changing needs of our clients. “Working together with our supply chain partners like PDC makes our offering to clients even stronger and the new turnkey solution is just one example of this in practice.